Vehicle Servicing for All Makes & ModelsA Quality Service at Competitive Rates! 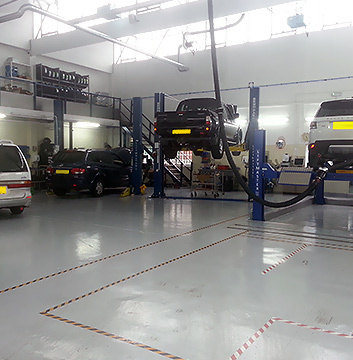 At Harpenden Mill Autocare we provide vehicle servicing for all makes and models. Our friendly team of highly experienced and qualified technicians will provide a timely, efficient and quality service at competitive rates. Our team of auto technicians work with the very latest diagnostic equipment that can diagnose faults quickly and efficiently. Our aim is to provide our customers with an honest and reliable service, explaining all the work that we carry out in advance to ensure no hidden costs. Whether an interim or full service, the Harpenden Mill Autocare team can fine-tune your vehicle, performing everything from an oil and filter change to tyre checks, all at competitive rates. For more information and advice, or to book your vehicle for servicing, please contact us on 01582 853 567.